Do you have a short time frame and big goals? Does it sometimes seem that you have so much to do, and so little time to do it? I know I have all these plans and ideas whirling around my head, and its really difficult to decide between what is important and what is urgent. When life feels like that, I find its good to take time out and assess what my big goal is, before I start firefighting the urgent tasks. In fact, once I take the time to decide what is really important, some of those urgent tasks stop demanding so much of my attention and space opens up for me to focus on my true goal properly. 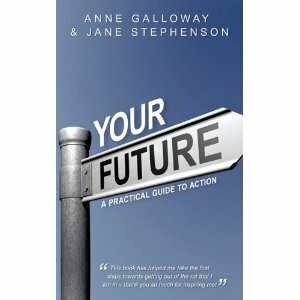 This system works so well for me, that I worked together with Anne Galloway to produce our book ” Your Future – a practical guide to action “. If you recognise yourself in this situation, then consider buying our book through Amazon or contact me directly to plan your own goal setting coaching course, and learn how to define your big goal.